Harness the power of AI to screen candidates faster and more accurately, without bias. Candidate screening with Opus AI has never been faster or more powerful. 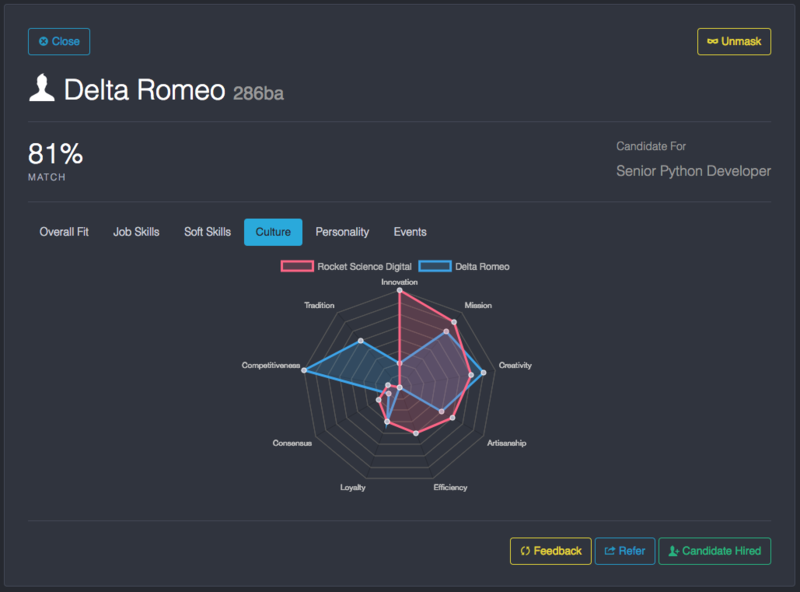 Our flexible, AI Powered candidate profiling tools let you quickly determine how suitable candidates are for a specific position, or for membership in a qualified candidate pool. Through CV scanning, questionnaires and AI-powered deduction, Opus AI analyzes the hard skills of the candidate and determines their qualifications in relation to the requirements of the position for which they are applying. It takes more than hard skills to make a successful hire. 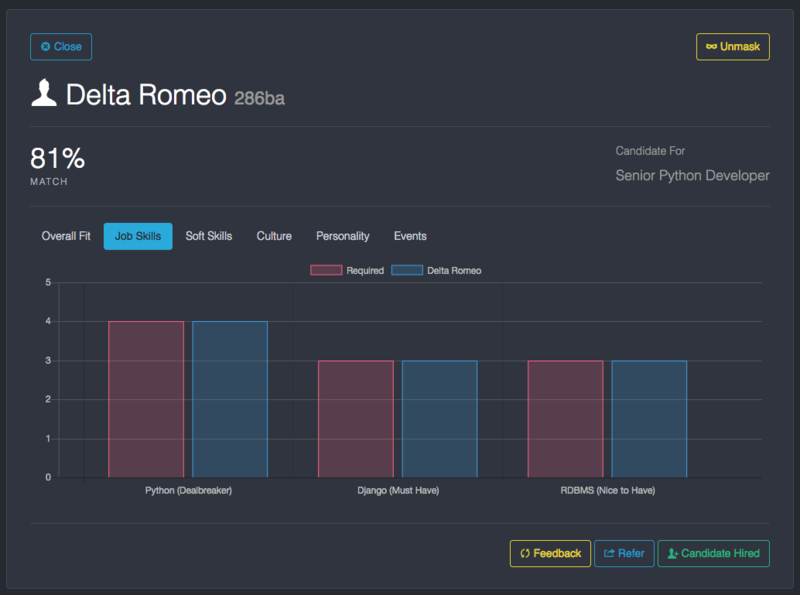 That's why Opus AI analyzes candidates' soft skills (things like communication skills, work ethic and curiosity), their cultural values (the relative importance of such values as Innovation, Competitiveness and Artisanship), and their personality (using the Big5 or OCEAN personality assessment). All candidates in Opus AI have their identity redacted or anonymized, hiding their gender, race, age, ethnicity and so forth from reviewers, who can then make decisions about them completely protected from bias. Studies have shown that even well intentioned reviewers exhibit unconscious bias when screening candidates. Hiding the demographics of the candidates, called blind screening, is a proven method to remove bias from the screening process. Opus AI can help you easily institute a blind screening process within your organization. 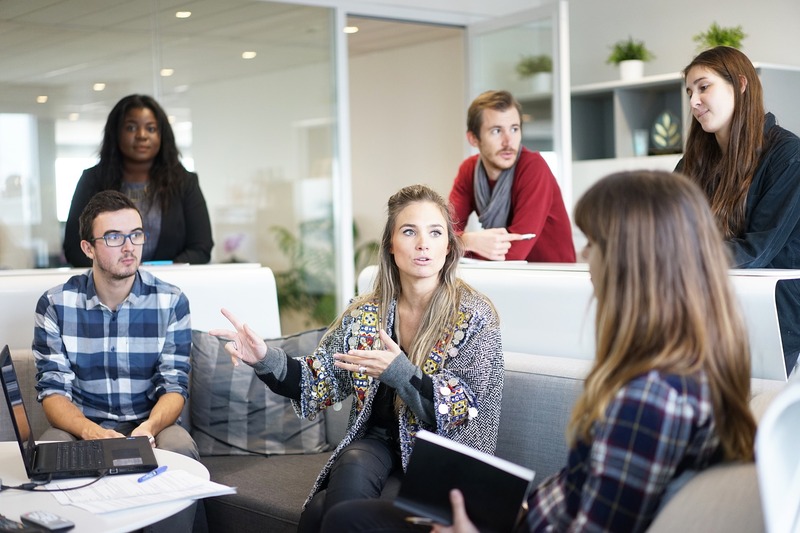 From the ground up, Opus AI is designed to be integrated with pre-existing ATS or HCM systems, including systems both commercial and custom designed. Opus AI provides rich APIs that facilitate integration with external systems. Common scenarios for integration involve initial capture of candidate data within an ATS (Applicant Tracking System), then referring candidates to Opus AI via an integration for enrichment of their profiles for screening. Depending on your needs, Opus AI can support your developers with an integration, or frequently we can do the integration work for you. Contact us at info@opusai.co if you're interested in an integration. If you are an ATS or HCM vendor, we also offer commercial integrations to bundle Opus AI functionality with your product.